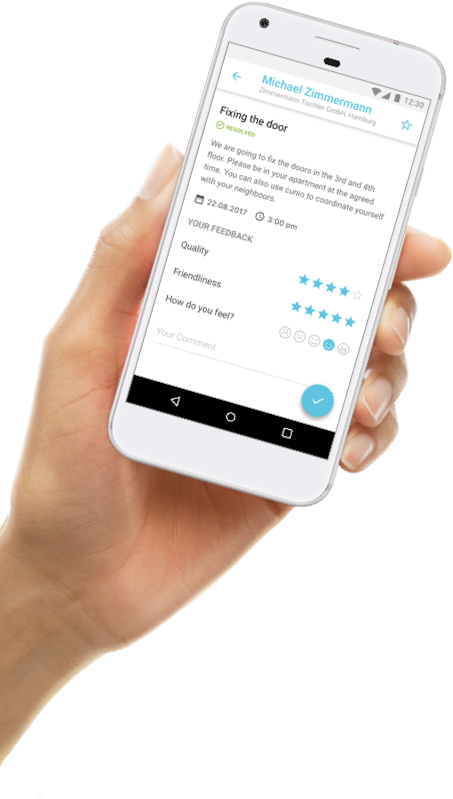 Whether you need to agree upon the house rules, contact the landlord, receive a postal package or coordinate appointments: cunio arranges your daily routine and contacts regarding your home in one App. You decide when and to whom you want to get in contact with. 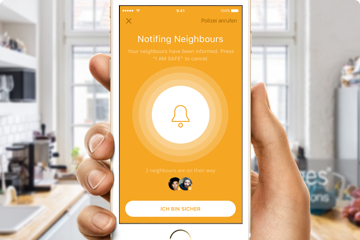 Communicating with your neighbours and landlord has never been easier. With cunio you always have your house community with you. 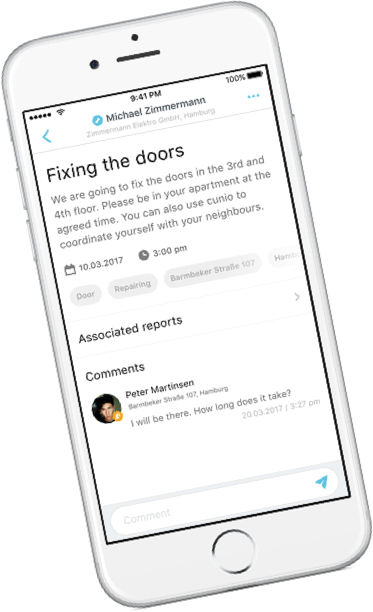 cunio is the interface to your landlord, property manager and service providers. 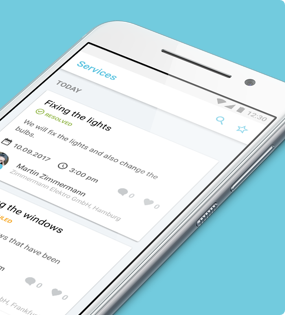 Coordinate via cunio, organize your services and rate the quality of service providers. BBQ, house rules, technical help – be surprised by the benefits of a well networked neighbourhood. Post, discuss and get connected easier than ever before. Direct and discrete communication with neighbours, landlord and service providers. No more calls, letters or dialogs between doors. Send reports, organise appointments and tasks location-independent. Upcoming activities are only listed here. 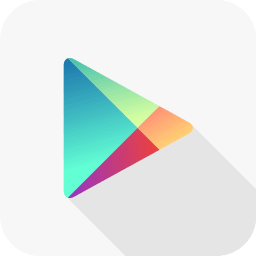 Download the cunio – App for free now and re-experience your home. 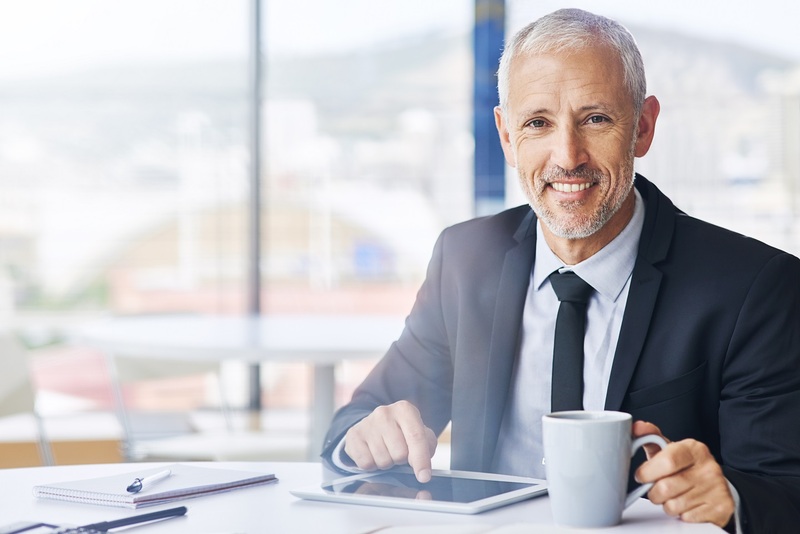 cunio connects tenants, service provider and property manager. Hereby you have everything at one glance. Explore how landlords benefit from cunio. cunio simplifies your commmunication to your customers and their tenants. 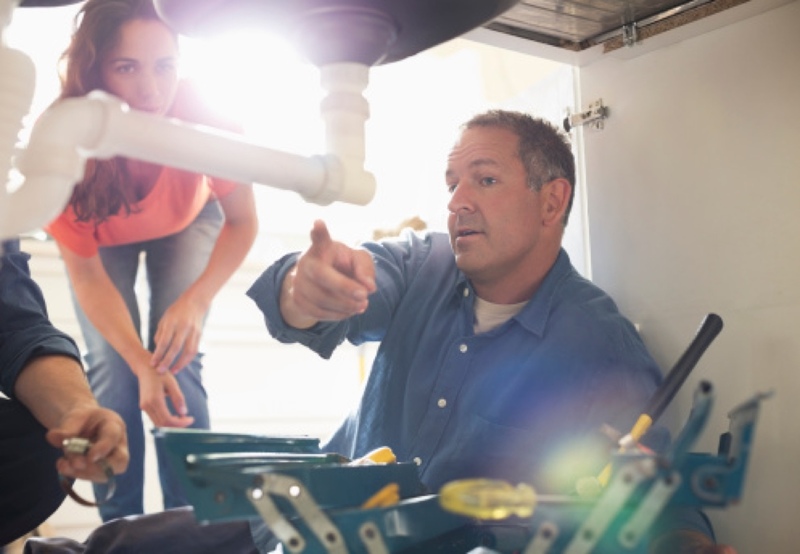 View all your jobs at one glance and have more time for your sevices. Find out more about your benefits with cunio. cunio networks you to all important people connected to your home. Explore the infinite opportunities with cunio here. 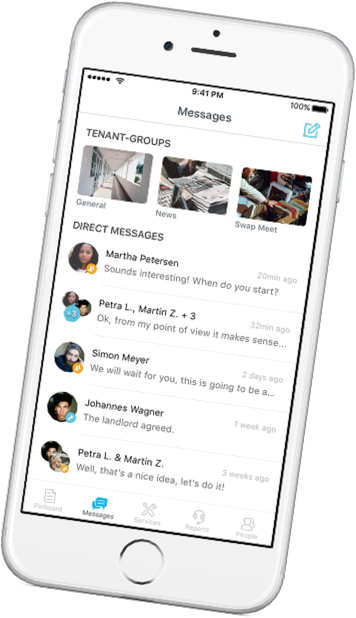 cunio simplifies your communication to your tenants and service providers. Less effort. More achieved. 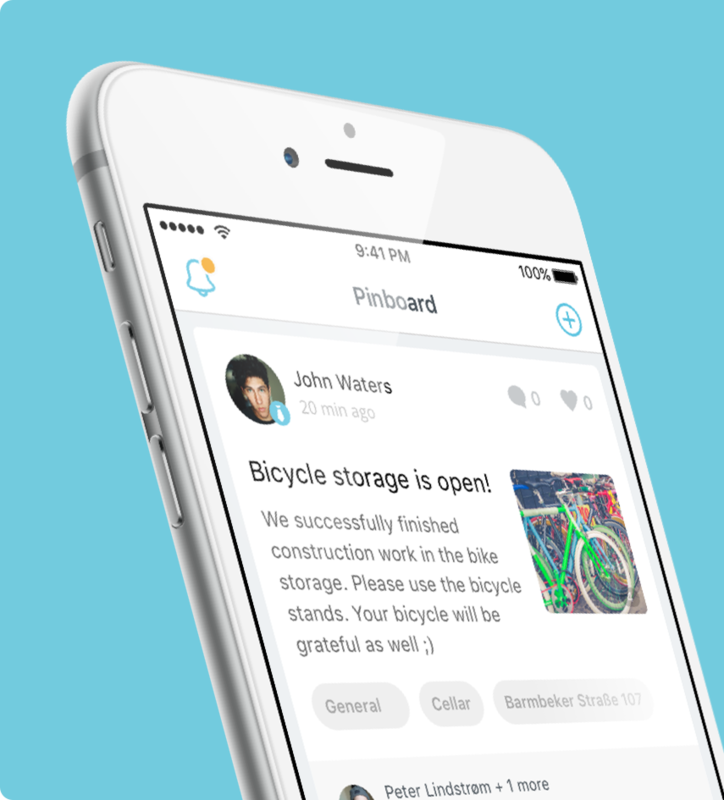 Find out how cunio will make your life easier.